How could we not be thrilled receiving this package in the mail? The Lettering Art Studio is run by Debi Sementelli, a calligrapher based in Texas. 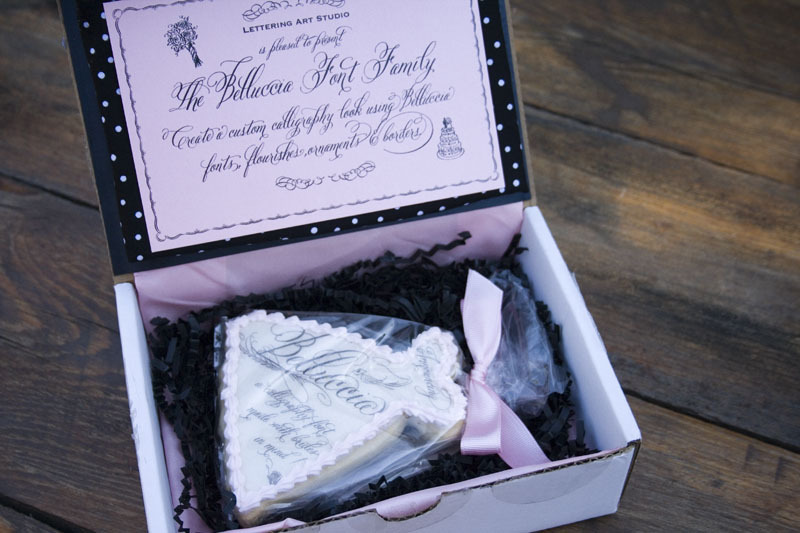 This box is a promotional item for her new calligraphic font, Bellucia, which is making lots of waves on myfonts.com. Referring back to our article about the do’s and dont’s of sending envelopes this box is an example of DO DO DO! At first glance I was blown away! 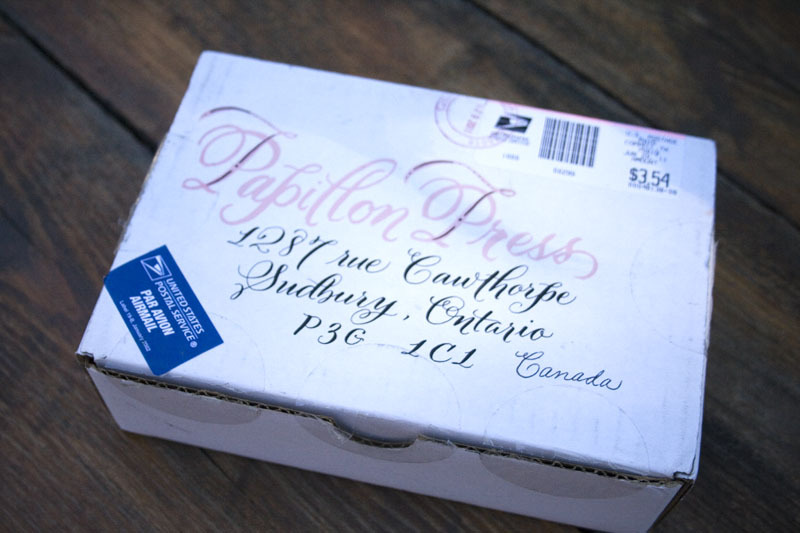 An otherwise ordinary box is enhanced tenfold by the two colour calligraphy. Did I say an ordinary white box? Well, the inside was anything but ordinary. And the cookie was delicious! So delicious that I ate it all and Joel was peeved with me. Oops! Ordinary white box? I think not! The cookie was ridiculously good too. For your calligraphic needs, do yourself a favour and visit The Lettering Art Studio. It’s also exciting to receive such great feedback about my Belluccia font. I love the fact that people are going to use it to create their own unique projects. I love the “collaboration” aspect of that!